Please select an AED Site Coordinator for your company. Your county may required you to register your AED; please check with your jurisdiction. King County will enter your AED in a database so that 911 dispatchers can locate it in an emergency. AEDs are medical devices and Washington State law and Federal Law requires that a physician provide medical direction and a prescription to the person or entity purchasing one. 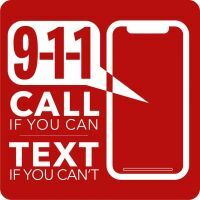 Your county may offer this service for free; please check with your local EMS to see if you can obtain medical direction and a prescription free of charge. If you cannot obtain a free prescription from your county, please refer to the paperwork that came with your AED to activate the included prescription for a $25 fee. King County provides businesses and individuals medical direction and prescriptions free of charge. Dr. Michael Sayre is the prescribing physician within the city of Seattle. Dr. Mickey Eisenberg is the prescribing physician within King County, outside Seattle. Under “1. What action are you requesting?” check the second, third, and fourth checkboxes to request a prescription, medical direction, and to register with King County. Fill out and submit the form as directed. Register your AED online with King County EMS. Complete a Washington State-approved CPR training program (CPR Seattle’s American Heart Association curriculum is approved by Washington State). 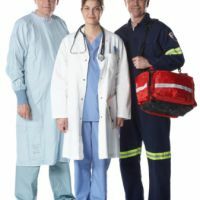 Maintain records of CPR/AED training (CPR Seattle maintains backup training records for those who have trained with us). Report any AED event to King County EMS. Contact King County EMS when your site information changes. Your AED will be entered in the dispatch database. In the event someone at your facility calls 911, the dispatcher will instruct the caller to locate the AED. You will receive a letter in the mail granting you a prescription for your AED unit. CPR Seattle keeps track of your CPR training records in addition to your AED information. A CPR Seattle staff member will activate your account and issue you a password (which you can change once you are logged into the system). To change any information in your profile simply send an email to cpr@cprseattle.com and we will gladly update your account. Insert your Pad-Pak into your AED until you hear a click. The AED will perform a self-check and then the green ready light will flash. Your AED is now operational. Check your spare AED battery by testing it in the AED unit; you should see the green light flash. Place the spare battery in the back zippered pouch of the AED. Check your pediatric battery by testing it in the AED unit; you should see the green light flash. To watch an instructional set-up video from HeartSine visit http://heartsine.com/support/aed-training-videos/ and view “HeartSine Samaritan PAD Set Up and Maintenance” or watch the video on the DVD provided in your AED shipment. Please note, your AED will perform self-checks periodically if a problem is found; a red light will flash or the unit will give an audible alert. If there is a problem with your AED please contact HeartSine Tech Support at (866) 478-7463 immediately. Adult Pad-Pak: Use for patients over 8 years of age and weighing more than 55 pounds. Pediatric Pad-Pak: Use for patients 1-8 years old weighing less than 55 pounds (if you think a child might be 8 or older but are not sure, use the adult pads). Data Recording: Internally records up to 90 minutes of event data (please do not turn on AED frequently as this uses up the available recording time). Emergency Shears: used for removing all clothing, including bra, from patient. Absorbent Dry Towel: AED pads must be placed on dry skin. Use the towel to wipe the patients’ skin dry before applying. Medical Prep Razor: AED pads will not adhere to a hairy chest. Use the medical prep razor to shave a hairy chest before applying pads. CPR Mask: The CPR mask provides a barrier between the rescuer and patient, and aids in creating an effective seal over the mouth and nose to deliver rescue breaths. Nitrile (non-latex) gloves (2 pairs): Gloves protect the rescuer from bodily fluids. Use two pairs in situations where they might tear (ex: broken glass present). Biohazard Bag: Use this bag to dispose of gloves and other protective equipment. Give biohazard bag to EMS for proper disposal or follow your company’s biohazard disposal procedures. Response time: The optimal response time is 3 minutes or less from the moment a victim collapses to when the AED applies a shock. Demographics of the Workforce: Because the likelihood of an event occurring increases with age, consideration should be given to the age profile of the workforce. Visitors: Facilities that host large numbers of visitors are more likely to experience an event, and an appraisal of the demographics of visitors should be included in an assessment. Specialty Areas: Facilities where strenuous work is conducted are more likely to experience an event. Physical Layout of Facility: Response time should be calculated based upon how long it will take for the responder with an AED walking at a rapid pace to reach a victim. Large facilities and buildings with unusual designs, elevators, campuses with several separate buildings, and physical impediments all present unique challenges. If you are installing a wall cabinet for your AED, please note that ADA guidelines state: “For an unobstructed approach, the maximum forward reach to this equipment, is 48 inches above the floor. It may be lower”. Also, “objects projecting from walls with their leading edges between 27 inches and 80 inches above the finished floor shall protrude no more than 4 inches into walks, corridors, passageways, or aisles”. Read the CPR Seattle blog post for additional information as well as the American Heart Association guide to implementing an AED program. CPR Seattle will send the AED Site Coordinator a reminder email two months before the Pad-Pak expiration. Order your new Pad-Pak by calling or emailing CPR Seattle. When you receive your new Pad-Pak, dispose of the old one according to county battery disposal recommendations. -Friendly Earth: Free battery recycling. They can be reached at 206-367-4111. -EcoLights : You can contact them at 888-214-2327 for the drop-off location nearest you, or for instructions on sending in your battery. Notify your staff if you have a spare battery pack available with you AED. Scroll down to “Saver Evo Software” to download to your computer. HeartSine Technical support is happy to assist you with the download. Contact the EMS Program Manager for your county and arrange for EMS to obtain the event data download (required for King County and Seattle). Contact HeartSine and send them the event data download. Obtain your new, free Pad-Pak from HeartSine (this Pad-Pak is free if you send Heartsine your event data). Install new Pad-Pak and ensure AED is fully functional. Once you have sent your event data to both EMS and Heartsine, delete the data from your AED unit to allow 90 full minutes of recording for any future cardiac event. Evaluate CPR and AED response and brief your staff on improvements for future response. Provide emotional support to rescuers and staff. After providing event data to EMS and HeartSine, delete the data according to HIPPA requirements. Forward Hearts Program: When a HeartSine AED device is used to save a life, the saved individual can choose to donate a new AED unit to any person or organization of their choice. Contact HeartSine for details. We encourage you to let your neighbors know you have an AED! CPR Seattle has AED location map on our website. 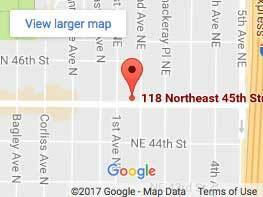 Please consider allowing CPR Seattle to add your facility to our database. The PulsePoint AED registry is one of the largest and fastest growing defibrillator databases in the world. We encourage you to add your AED. Visit www.pulsepoint.org for more information. Thank you for choosing CPR Seattle as your AED provider. Please do not hesitate to call us with any questions.